1. I realize that the dish described in the opening scene is supposed to sound ridiculous, but it also sounds like something I would be really into. 3. 1:47 the blog being made fun of in the video uses the same WordPress theme as my blog! 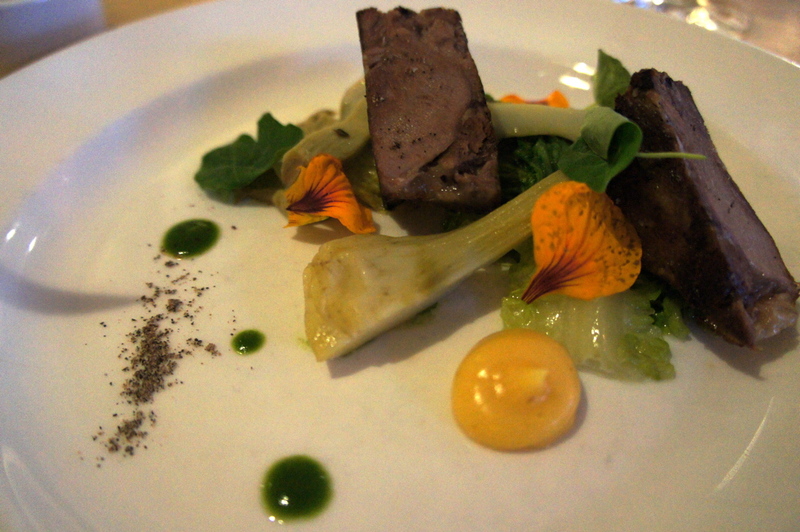 Commonwealth has been on my must-try list for a while, and I finally had the pleasure of dining there recently. Commonwealth is located in the Mission District of San Francisco and is an offshoot of Mission Street Food headed by chef Jason Fox. It continues the Mission Street Food tradition of innovative food paired with a charity mission. There are seats at the bar overlooking the open kitchen where I got to observe the chefs in action as they prepared a six course tasting menu that sounded very adventurous. There were all sorts of fun culinary techniques on display: immersion circulators, microwave sponge cake, nitrous foams, liquid nitrogen. 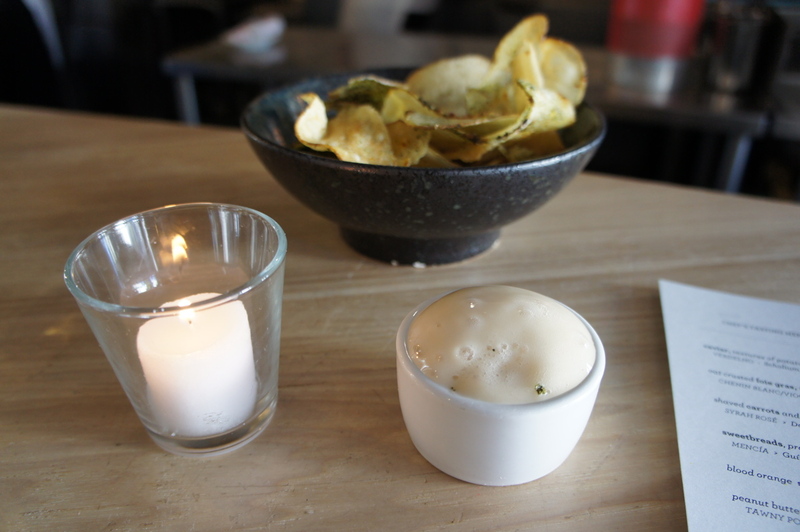 The meal started off with complimentary house-made potato chips, which were mildly flavored with nori and served as a great vehicle for the malt vinegar foam. 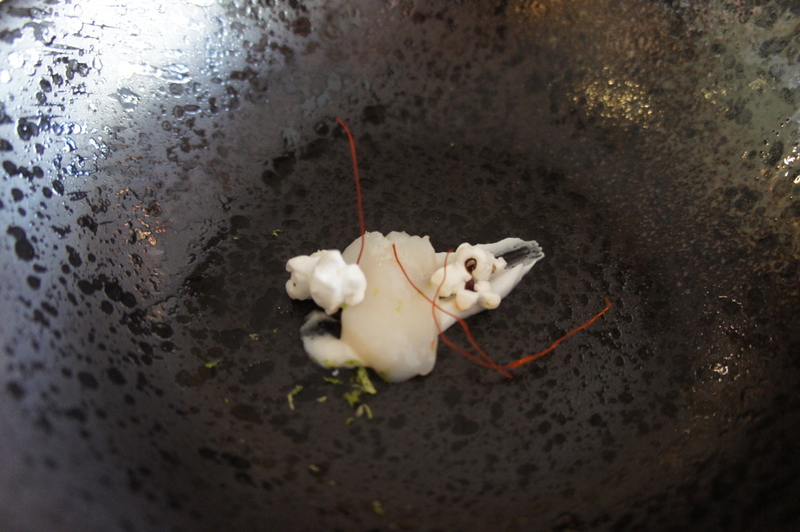 Next was an amuse bouche of raw fluke, popcorn, and coconut, a really nice bite. 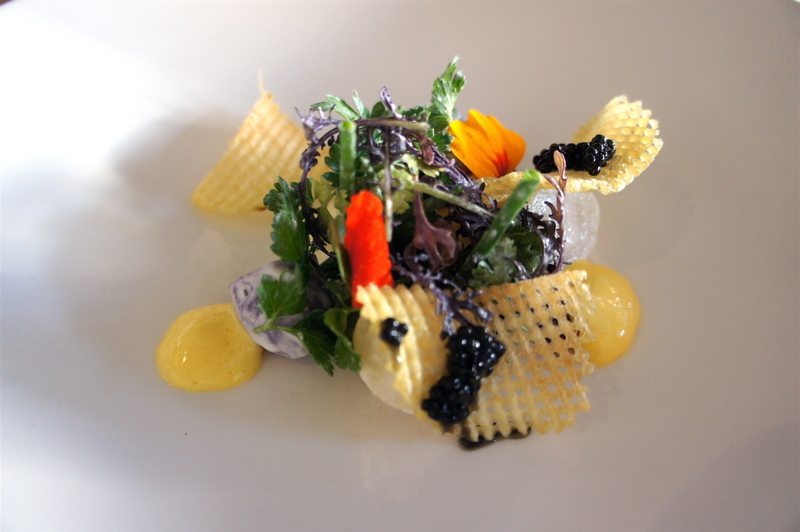 The actual tasting menu then started with caviar served on waffle potato chips with potatoes, creme fraiche, scrambled egg foam, and fines herbs. The presentation was beautiful and a new way to enjoy a classic combination of flavors. The next dish, Foie Gras with Brioche Soldiers was my favorite. 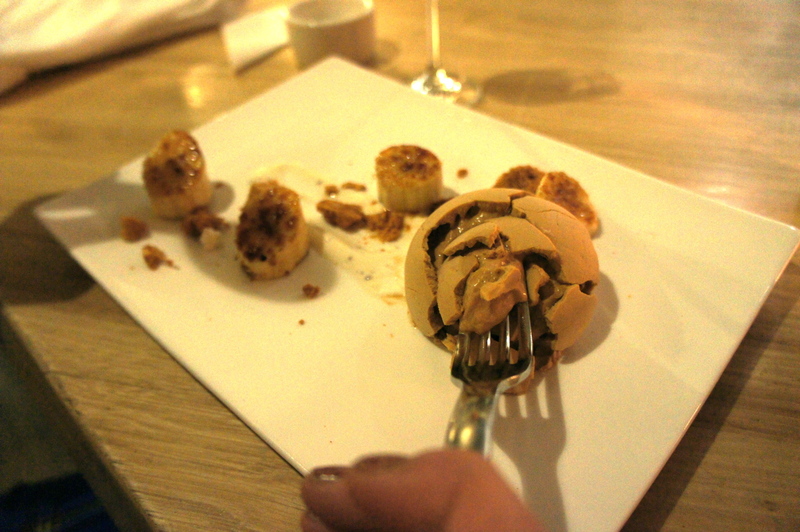 The foie gras is rolled in an oat crust, and the texture of the oats provides contrast to the creamy, fatty foie gras. 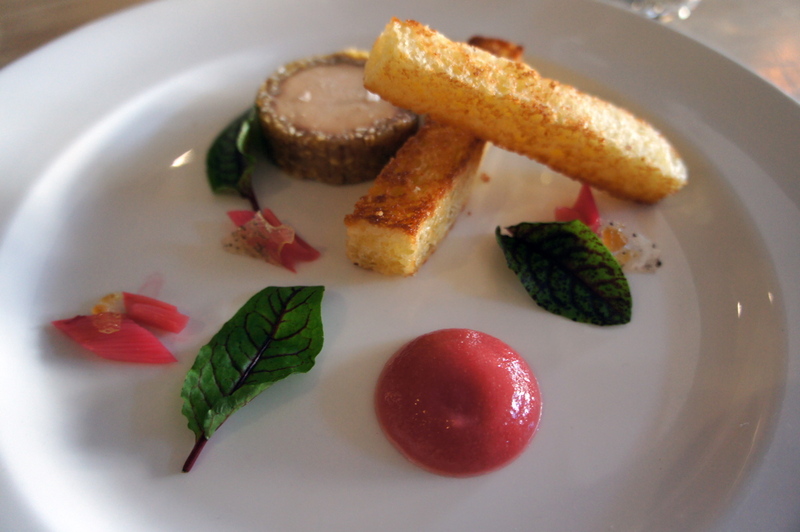 Each little bite of a combination of the foie gras, crisped, buttery brioche, and rhubarb jam was perfect. In between bites there was pickled rhubarb and ginger candy and the beautiful Hearts of Fire leaves. 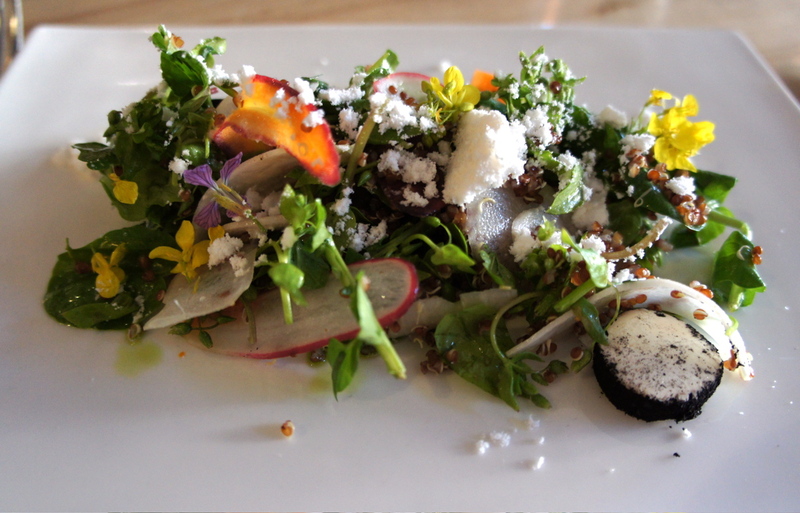 The next course was a shaved carrot and radish salad with ash-coated goat cheese, quinoa, and herbs. Beautiful presentation again. 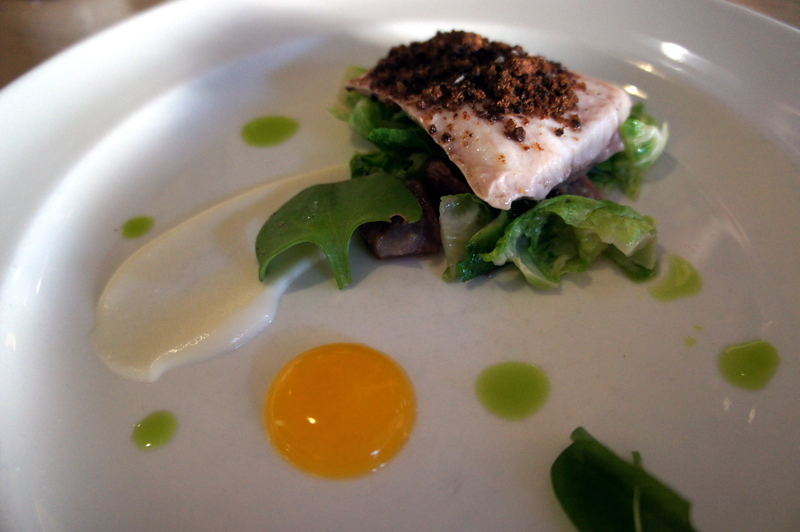 The menu is very thoughtfully planned, as this course was a nice change of pace from the rich dish before. 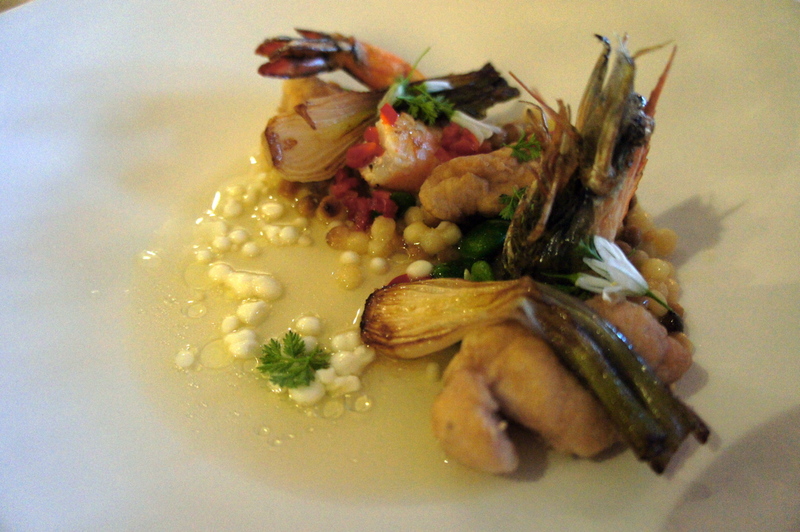 Sweetbreads, which are calf thymus, a single prawn, fava beans, and pasta in a smoked ham jus was next. I was a little apprehensive at first about eating the sweetbreads, but they had a very mild flavor. The ham jus (broth) was really tasty. They have a very liberal substitution policy with the tasting menu, so we were able to taste several dishes from the a la carte menu in addition to the ones on the tasting menu, including a sturgeon with pumpernickel crust and brussel sprouts, and lamb’s tongue with artichokes and meyer lemon sauce. 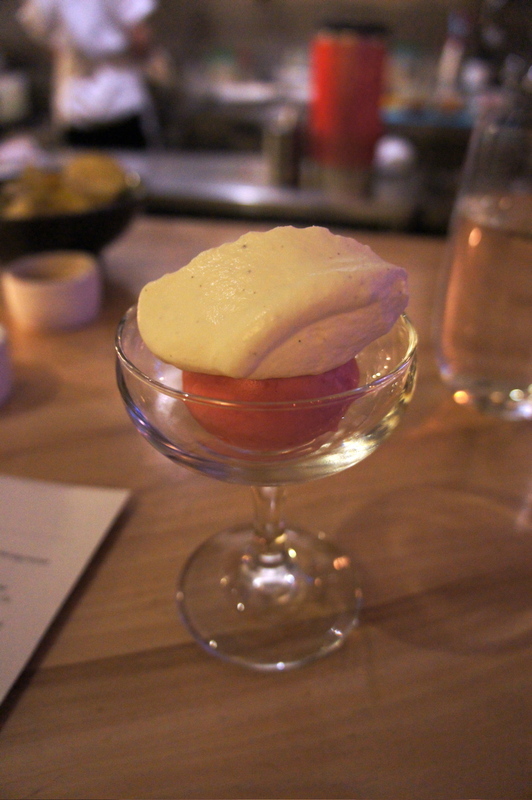 Next was a palate cleanser of blood orange sherbet and chantilly creme. The attention to detail was quite impressive. For example, liquid nitrogen was used to chill the glass serving dish for the sherbet course. 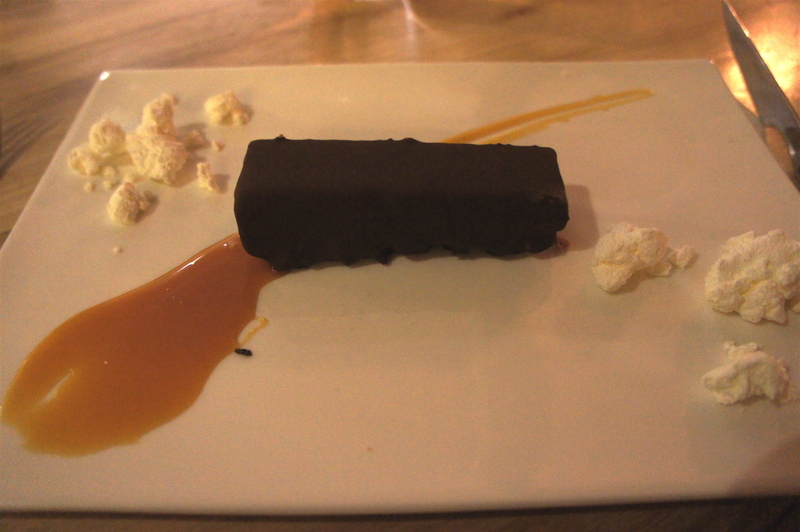 This was followed by dessert, a peanut butter semifreddo in a chocolate ganache, caramel sauce, and frozen “popcorn.” We also had another substitution, bruleed banana and frozen chicory mousse. The mousse was dipped and rolled in liquid nitrogen, making a hard shell. When the shell was cracked open, the soft mousse inside was revealed. 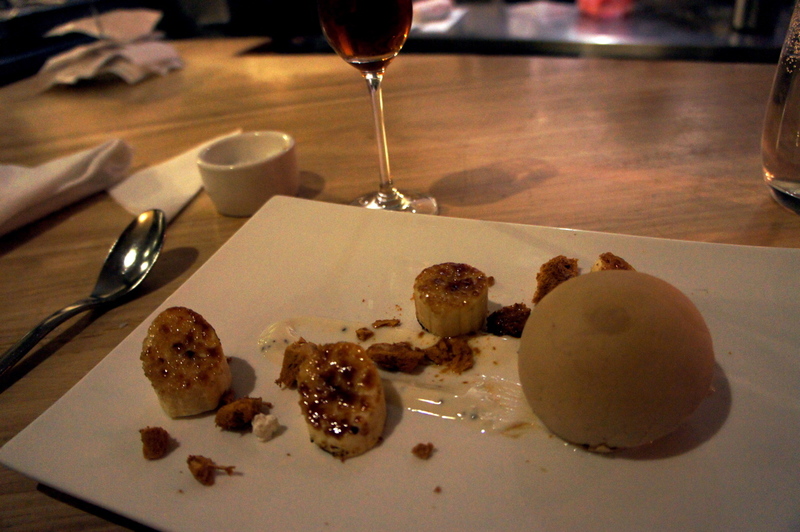 This was a great dessert, with the slight bitterness of the chicory contrasting with the caramelized bananas. 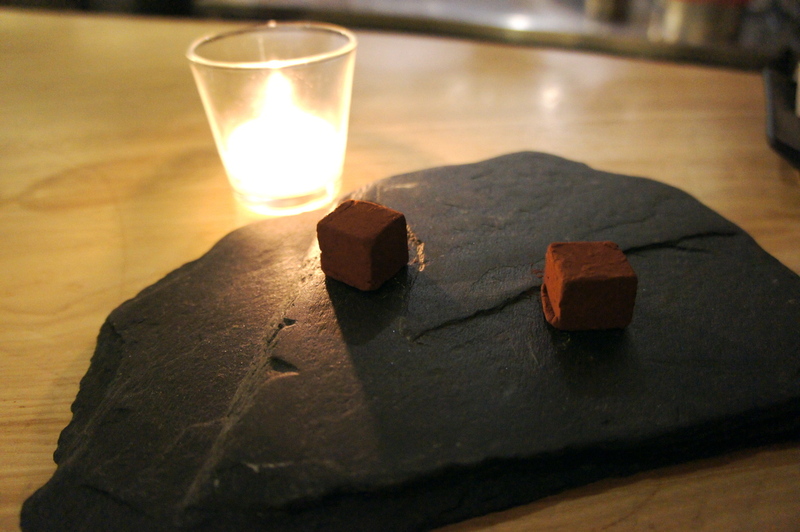 Finally, some delicious truffles with intense coffee flavor were sent over with the bill. The tasting menu price is $65, $10 of which goes to charity, which made me feel a little less guilty about spending so much on one meal. That being said, the tasting menu is a good value considering the exceptional quality of the six courses served, especially compared to other restaurants in the Bay Area. New dishes appear every week, and the tasting menu turns over quarterly. There is an optional wine pairing for $30, where a generous pour of wine accompanies each course. The provenance and composition of each wine is explained as well as the reason the wine was chosen for the pairing. Also available is an a la carte menu where similar sized portion plates are available for $12-16. The decor is clean, modern, and inviting, and the service is very friendly, knowledgeable, patient, and accommodating of special requests. Highly recommended. Chef Christina Tosi’s Grasshopper Pie, from the Momofuku Milk Bar cookbook, is is a delicious variation on the already-decadent Brownie Pie and a great St. Patrick’s Day dessert. There are four separate components: Graham Crust, Brownie Pie, Mint Cheesecake Filling, and Mint Glaze. First, Graham Crust is pressed into a pie tin. Then a Mint Cheesecake Filling made of cream cheese, white chocolate, peppermint extract, and green food coloring is spread on the bottom of the pie. Brownie Pie filling is added next, topped by mini chocolate chips and marshmallows that become toasted as the pie bakes for about 30 minutes. Mint Glaze is made of white chocolate and peppermint extract. The technique of melting white chocolate with neutral grapeseed oil, used in making both the Mint Cheesecake Filling and Mint Glaze, transforms the white chocolate into an easy to work with glossy liquid. 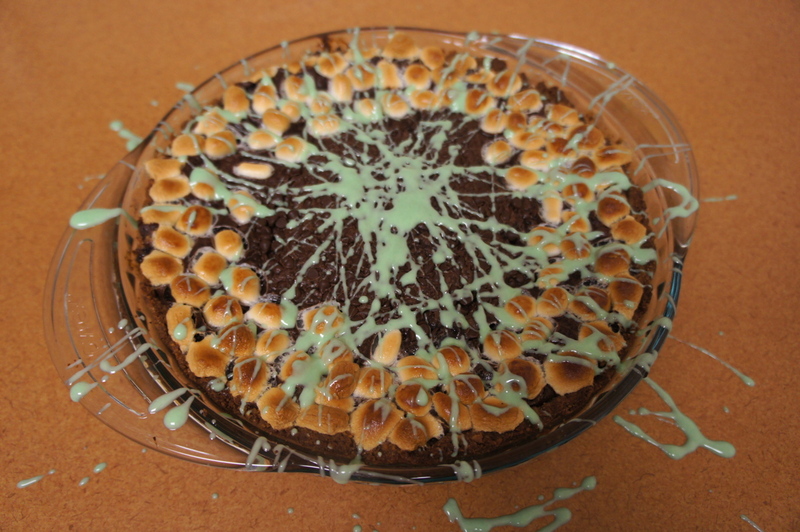 Once the Brownie Pie is cool, the Mint Glaze is dripped on the pie, Jackson Pollock-style. This is one of the most visually dramatic presentations in a book filled with beautiful desserts, and as delicious as it looks. One note: Make the Mint Cheesecake before the Brownie Pie filling. Both require a stand mixer, and the Mint Cheesecake goes in the pie first. I made the mistake of making the Brownie Pie filling first and had to transfer it to a new bowl while I cleaned out my mixer bowl and made the Mint Cheesecake. Evvia in Palo Alto and its sister restaurant Kokkari in San Francisco serve delicious Greek food in a warm, upscale setting. Chef Eric Cosselmon and co-author Janet Fletcher have written a cookbook of dishes from the restaurants entitled Kokkari: Contemporary Greek Flavors. 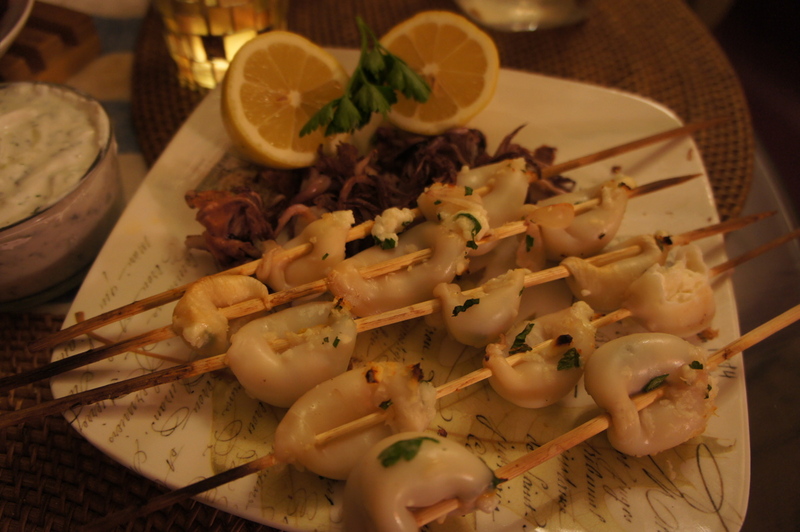 Calamari stuffed with feta, orange, and bread crumbs is a good recipe for meze, or appetizers. It’s a bit tricky to stuff the calamari tubes (the feta crumbles are often only just a little bit smaller than the opening diameter of the tube). 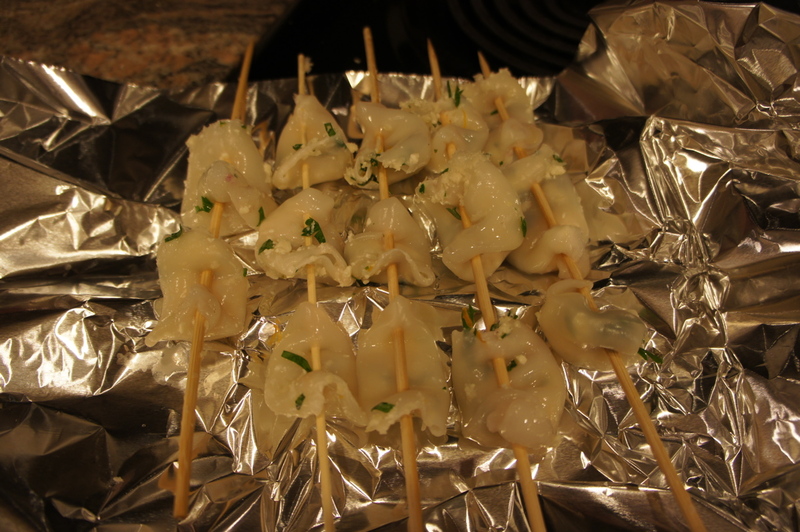 These are threaded onto bamboo skewers and either grilled or broiled. 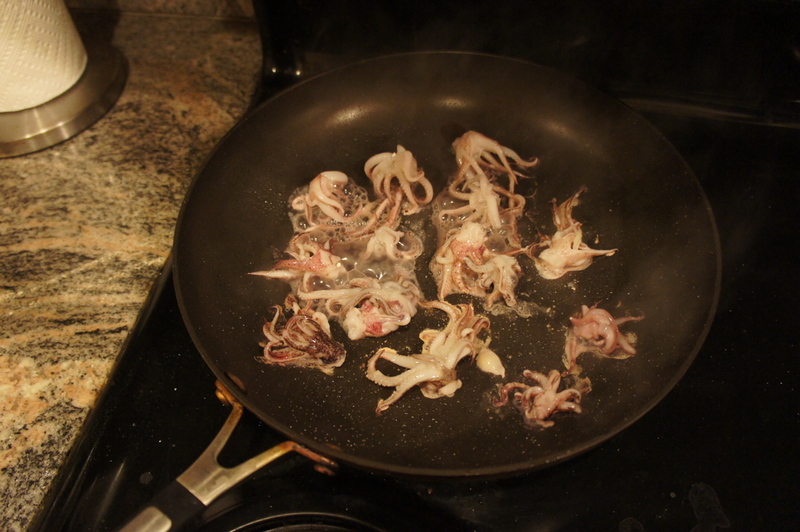 The tentacles can be cooked quickly in a saute pan since they are difficult to skewer. Serve with a squeeze of lemon. 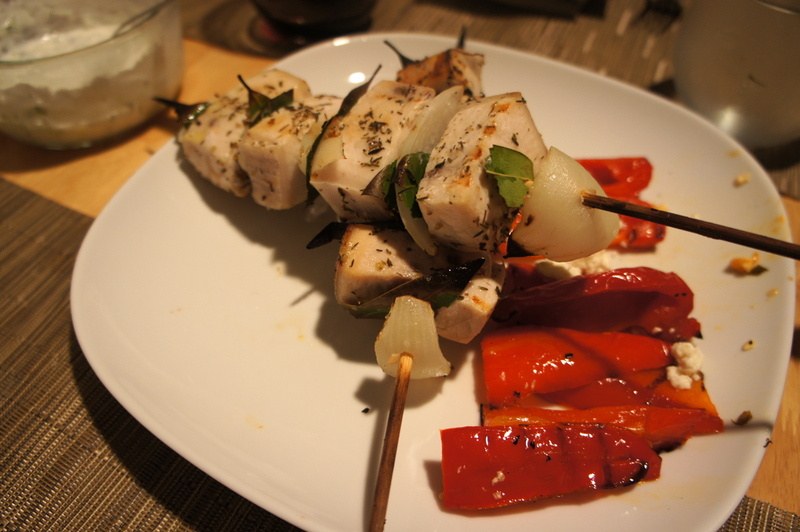 Swordfish skewers are simple and delicious, with a little thyme, lemon zest and juice, and salt, quickly broiled. Evvia is famous for its grilled meats and seafood. Home grilling is a little difficult in the winter or without a grill, but many of the recipes can be adapted for the broiler or using a grill pan on the stove. 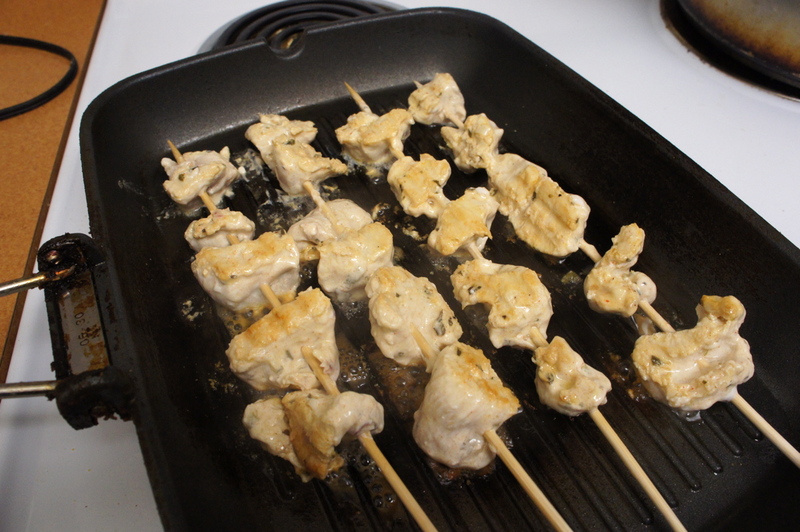 Chicken Souvlaki is marinated in yogurt and spices that tenderize the meat and add lots of flavor. 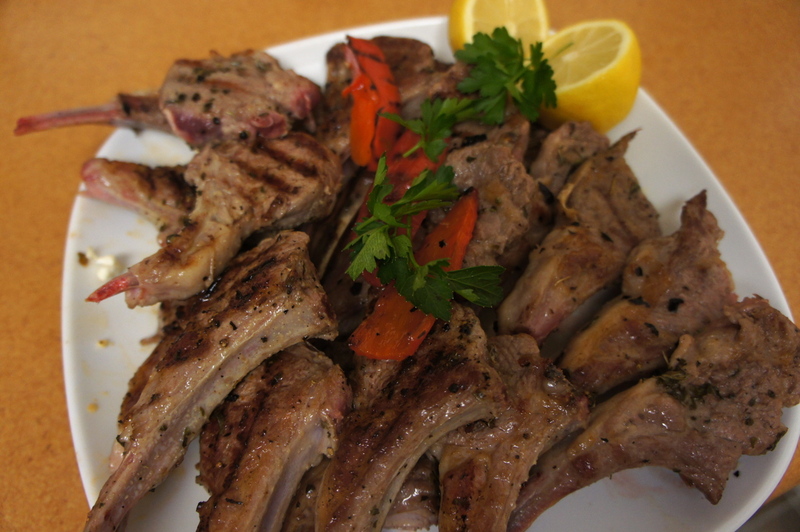 Lamb chops (Frenched lamb rack from Trader Joe’s) are simple to make, seasoned with garlic powder, salt, oregano and then grilled on the grill pan. 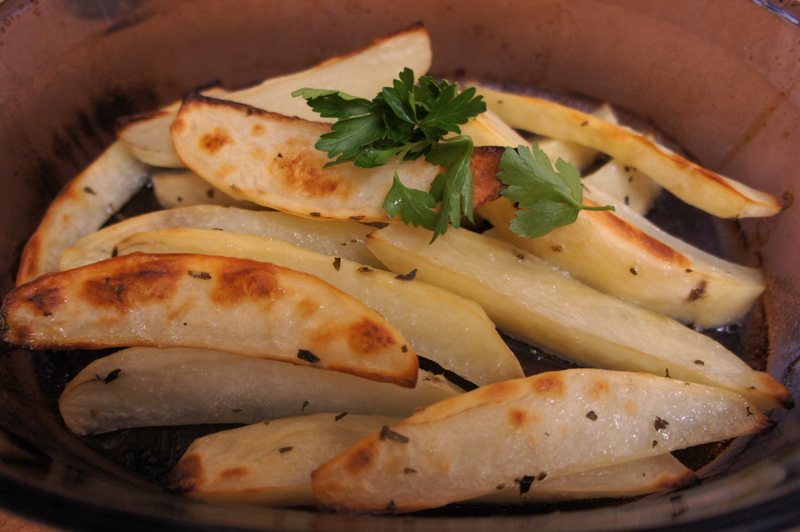 Serve with Kokkari potatoes, which are roasted in the oven with lemon and oregano. 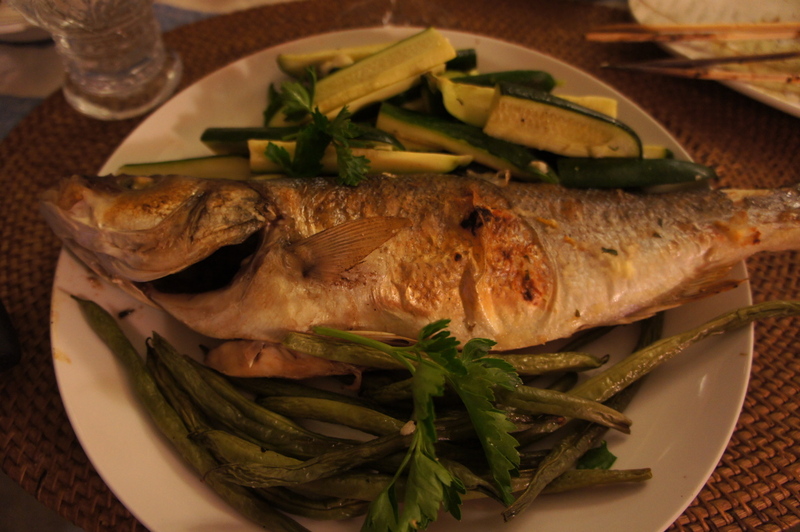 Broiled whole branzini (available at Whole Foods) is really good, fresh and healthy, and it’s enhanced by the Kokkari dressing or Tzatziki sauce. 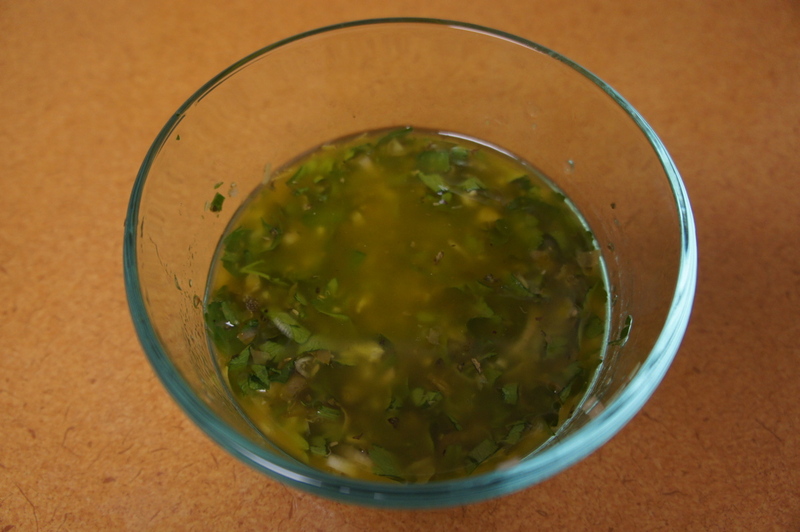 Kokkari dressing is made with olive oil, lemon juice, garlic, shallots, capers, parsley, and oregano and helps to punch up several of the grilled fish and meat recipes. 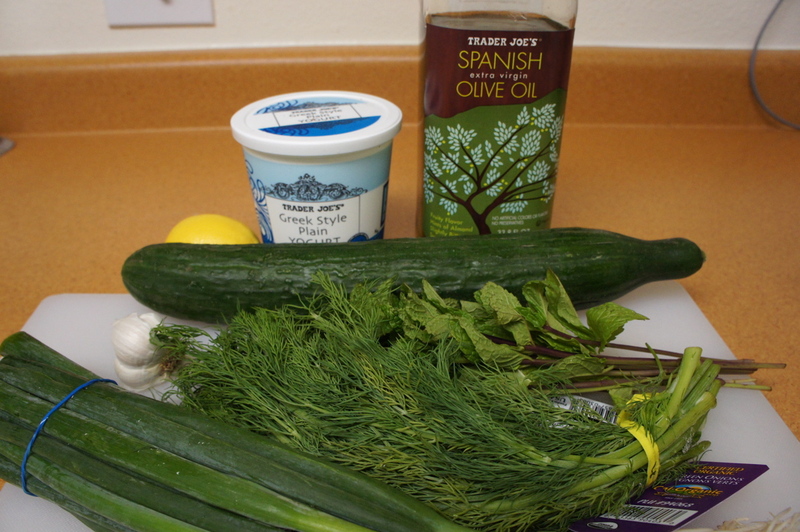 The Tzatziki sauce is made with shredded cucumber that is salted to draw out its water, Greek yogurt, lemon juice, dill, scallions, mint, and garlic, and its cool creaminess works well with almost every recipe. 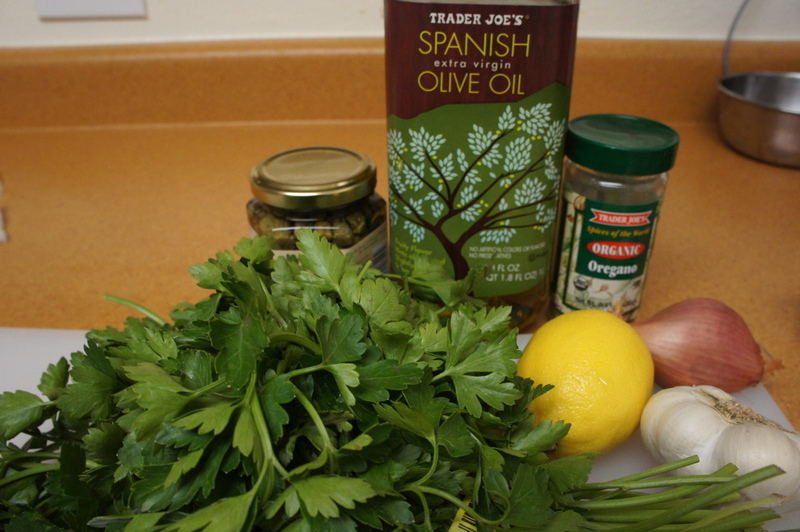 I like how the sauces and recipes feature a lot of herbs like dill, mint, and parsley that add a lot of freshness and flavor. 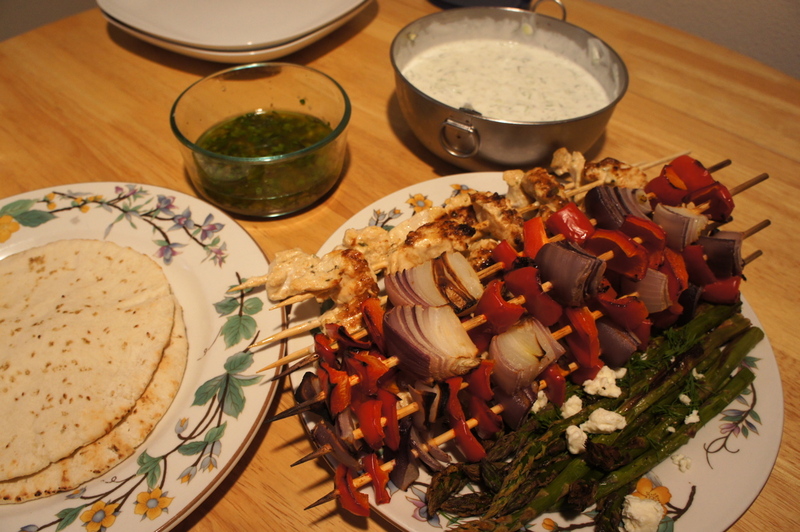 Most of the ingredients are widely available, and most of the techniques are doable for the home chef, allowing one to re-create restaurant-worthy Greek dishes at home. 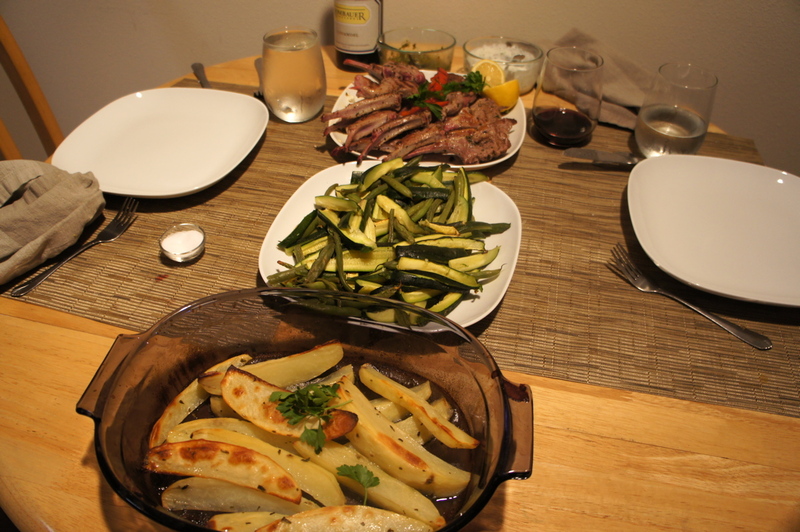 The text is well laid out and roughly a third of the recipes have photographs of the finished dish. I definitely recommend both the book and the restaurants. Link to Kokkari cookbook here. There is an amazing little collection of shops along Hopkins Street in Berkeley, CA where one can find a great selection of produce, seafood, and meats. All of these independent sellers have their unique strengths and offer a nice afternoon of shopping. It’s part of a great Berkeley food scene that includes the Cheeseboard on Shattuck and Spun Sugar on University that I got to visit recently, topped off with another great dinner at Gather. 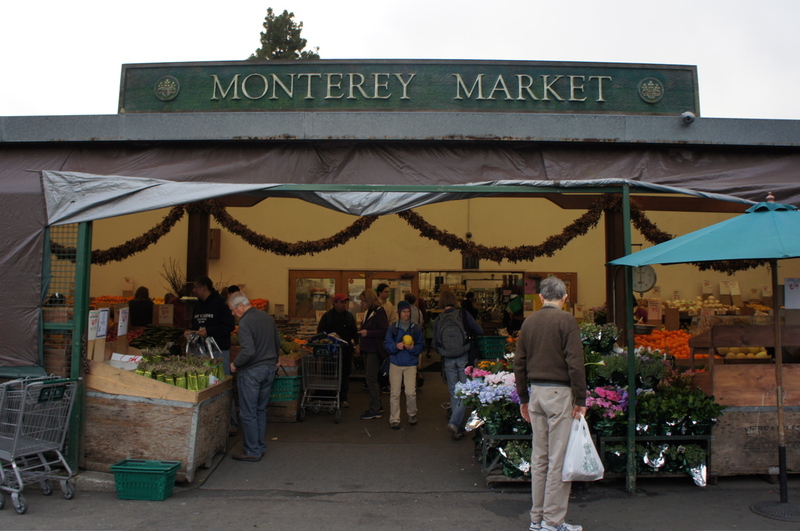 Monterey Market – sells a wide assortment of fresh produce and dry goods. 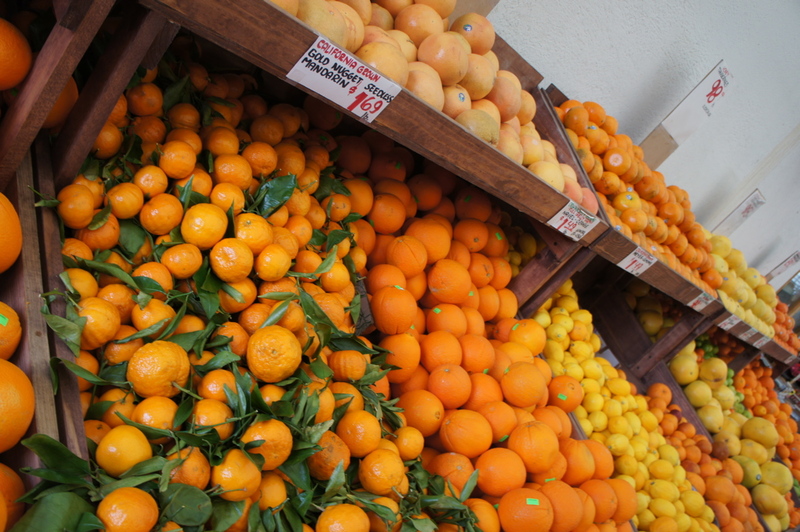 The produce is relatively inexpensive – herbs for $0.99 instead of $1.99 at Whole Foods, cara cara oranges for $0.79 per pound instead of $2-3 per pound. The selection of produce is outstanding. 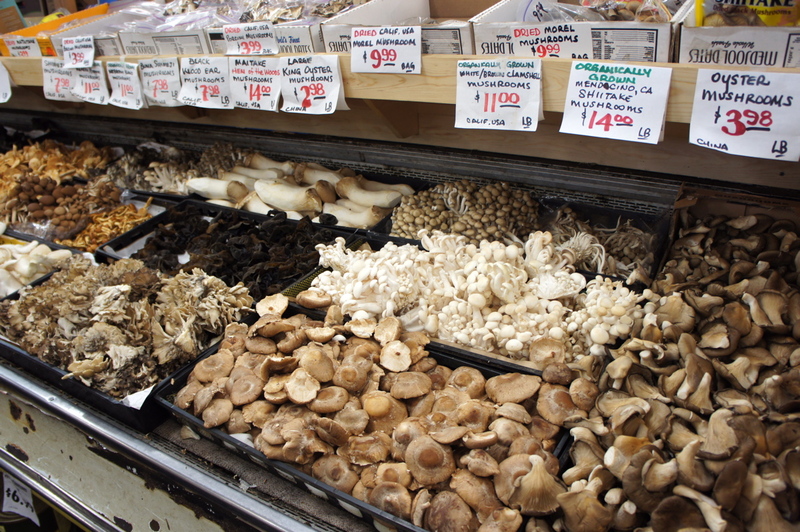 There is an entire aisle devoted to an incredible variety of mushrooms. The parking lot and store are a bit cramped, but the selection and prices make up for it. 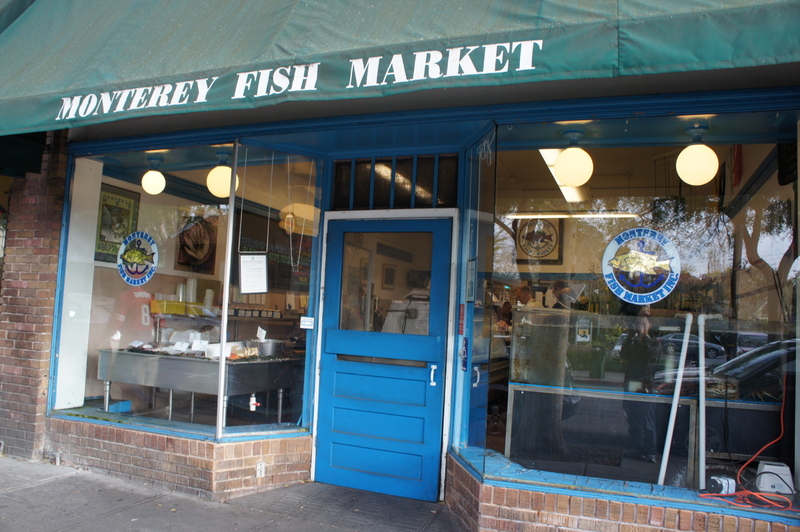 Monterey Fish Market – very good selection of fish and seafood. 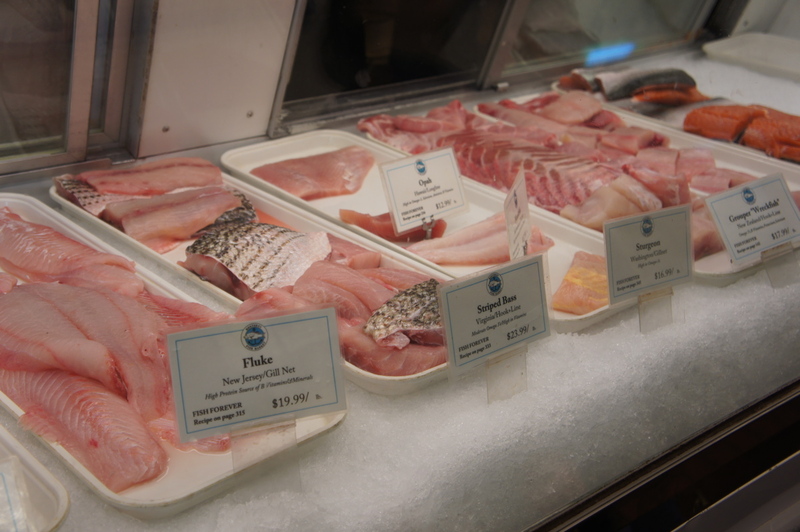 The source of seafood including location and method of capture is prominently displayed. 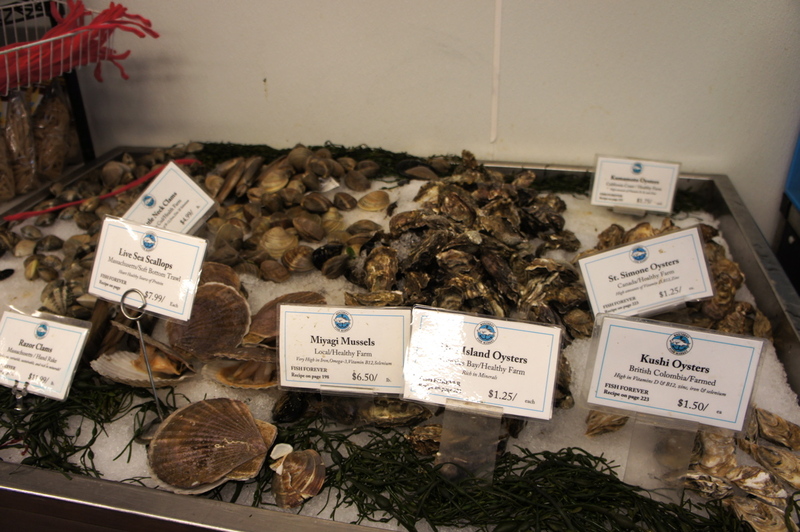 On the day I went they had live scallops and razor clams from Massachusetts and Opah from Hawaii. 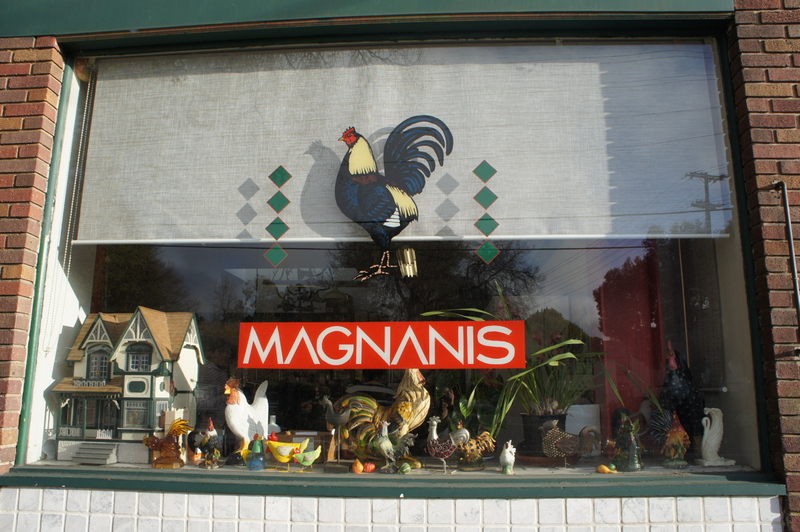 Magnani’s Poultry – neighborhood butcher with very good selection air-chilled local chicken and meats, deli, olives, and other goods. 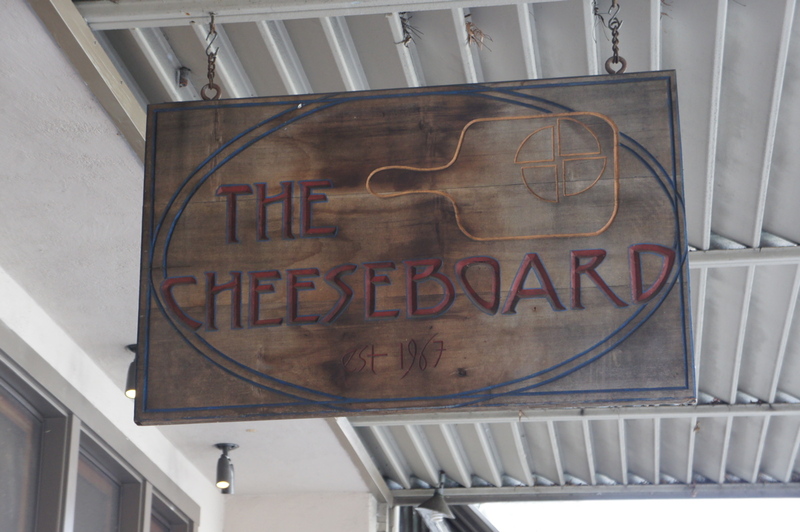 The Cheeseboard – a collectively owned and operated cheese shop/bakery/pizza place that is a Berkeley institution. 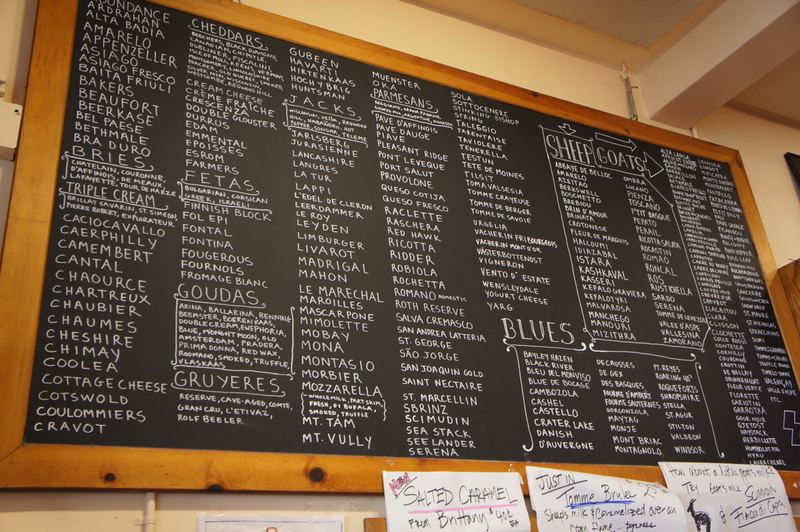 Check out the incredible selection of cheeses on the board for purchase. 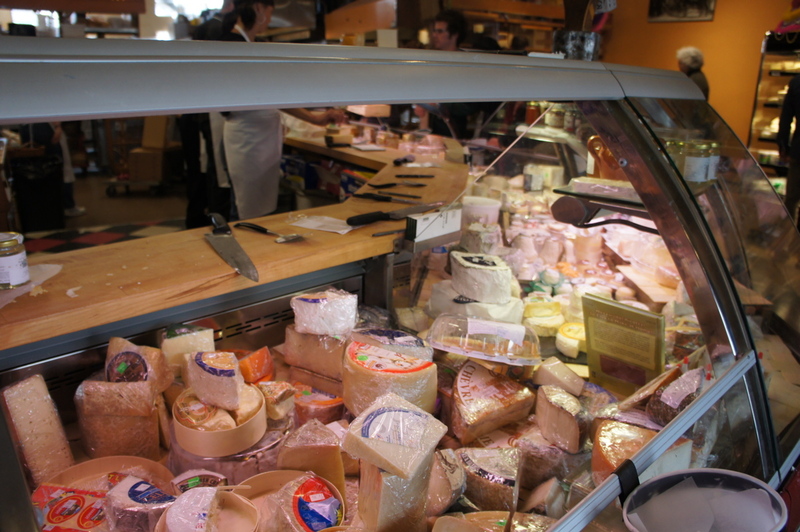 The staff is very knowledgeable and will give out samples of any of the cheeses. There is a bakery that makes great scones, breads, and cookies. Cheeseboard also serves creative, fresh vegetarian pizzas that change daily. Recently, the Roasted cauliflower, Roasted onions, Cheddar cheese, Mozzarella, Pistachios, Italian Parsley Pizza was delicious. Spun Sugar – I have written about this store before, but they have many hard-to-find baking supplies and ingredients like fondant, gelatin sheets, Valrhona and Guittard chocolate, and flavored extracts and oils. This is a healthy version of bibimbap with chicken from Martha Rose Shulman and the New York Times’ Recipes for Health (there are more versions on the site featuring tofu or beef). 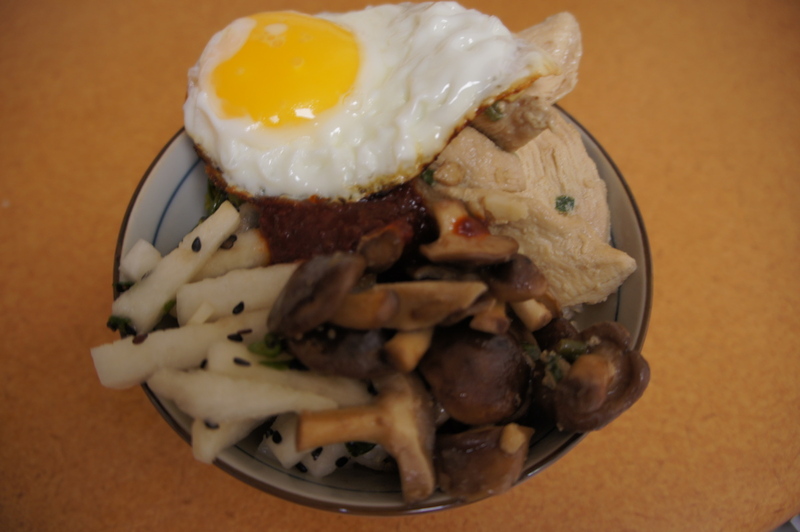 Bibimbap is a Korean dish where different marinated meats and vegetables and a fried egg are served over rice with kochujang, a spicy Korean red pepper paste. 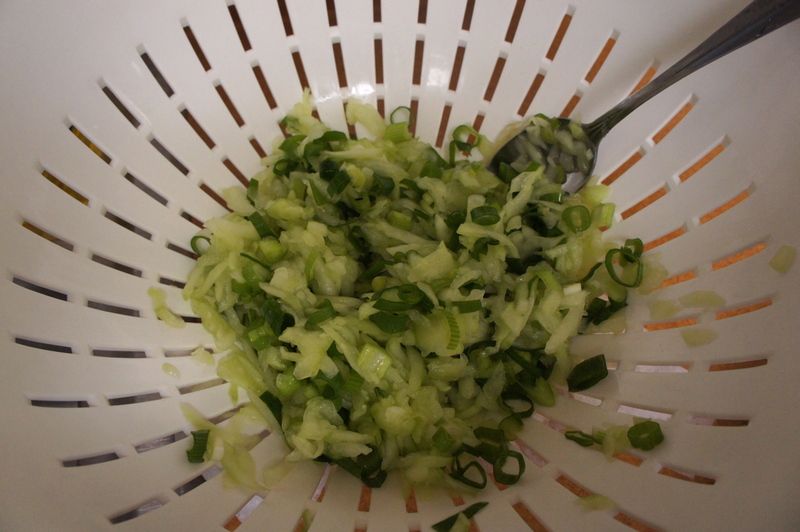 This recipe requires ingredients from an Asian grocery: rice vinegar, sesame oil, soy sauce, kochujang, and sesame seeds. Each component is prepared and seasoned separately – steamed broccoli rabe, salted raw turnips, sauteed mushrooms, sauteed chicken, fried egg – but it all comes together in about an hour. Kochujang brings heat and ties everything together. Healthy, light, flavorful dish. 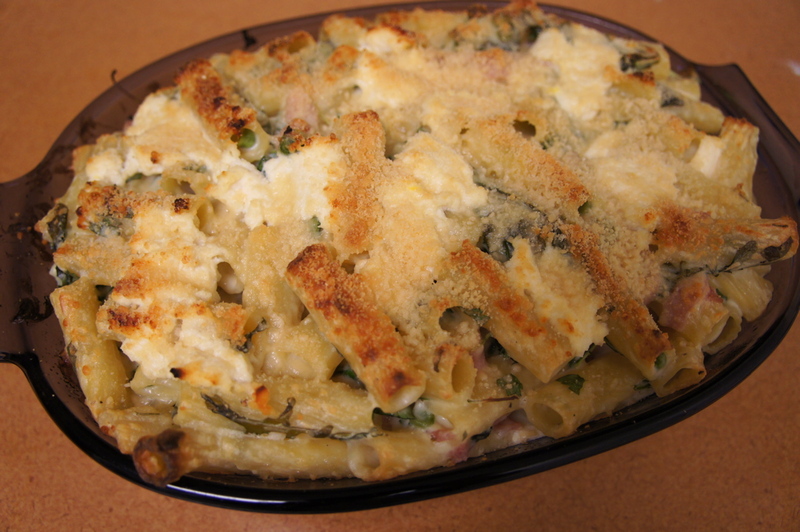 This is another updated comfort food recipe from Bon Appetit March 2012. This time the classic Mac and Cheese is updated with a parmesan-fontina bechamel sauce, arugula, peas, and mint. 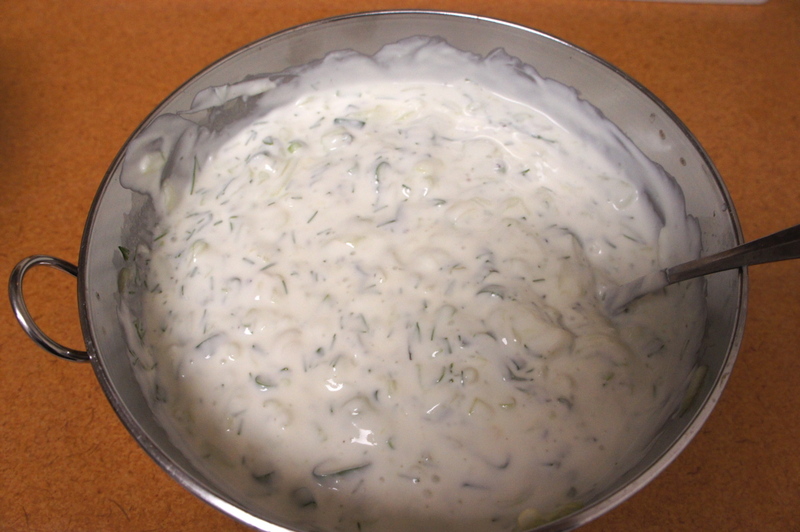 Bechamel, or white sauce, is one of the French mother sauces. First, a roux is made by cooking butter and flour. 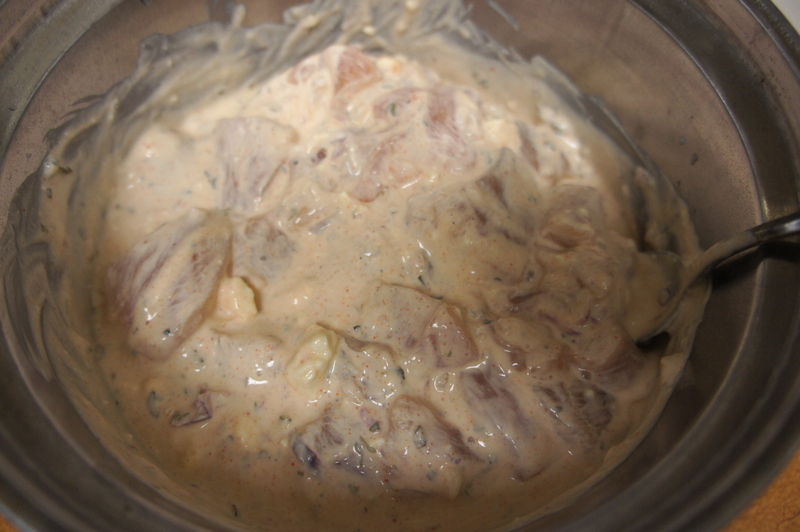 Then, milk is added and the mixture is stirred until thickened, about 20-30 minutes. Parmesan cheese, fontina cheese, and egg are added to the bechamel sauce, which is then tossed with cooked pasta, arugula, parsley, peas, and mint. 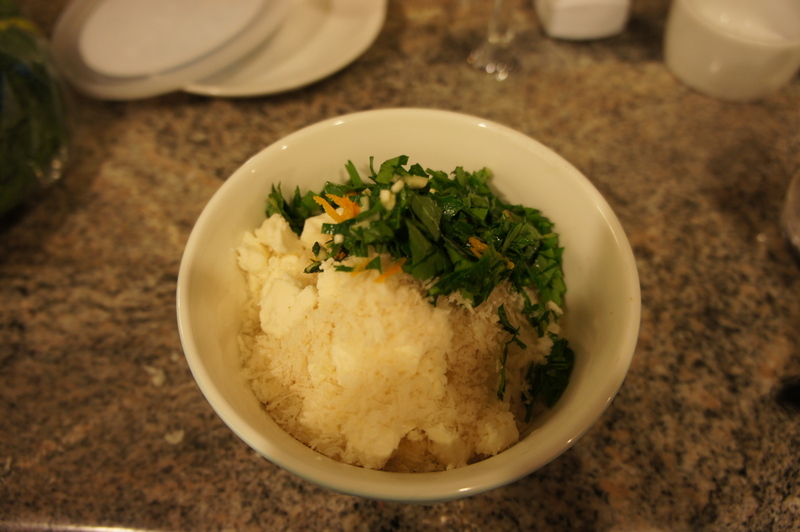 A layer of ricotta and lemon zest is added, and everything is baked for about 45 minutes. I made a couple of modifications, using rigatoni instead of the larger paccheri, baking in a large casserole dish instead of a springform pan, and adding some ham slices. The total time from start to finish was about two hours. I thought the dish turned out OK. I liked the texture of the browned pasta at the top. However, in terms of flavor the mild cheese sauce dominated, and none of the other flavors really popped.